I love tanking for my guild and really enjoy almost any tank class I can use. I have played ranged dps as well as healers and melee dps, but I love tanking too much to totally give it up. Now, all I really enjoy playing are my tanks. My other toons will get leveled but my tanks are first to max level, always. From way back in my Dungeons and Dragons days, I have tanked for groups I have played with. I have played other classes (and have every class as alts). I enjoyed hunters and locks a lot; love the rogue and shaman too, but tanking is in my blood. When I came to World of Warcraft, being a tank just made sense, at least to my train of thought. I started really tanking back in Wrath of the Lich King on a death knight that I leveled to level 75 in blood spec. I had no clue how to use frost correctly so I used blood. That gave me more threat than frost tanks, but no dps to speak of. When I couldn’t get the dps I needed out of the death knight, I deleted it and leveled Northernbear, my paladin, who I had left at level 55 to make gear for the dk. Northernbear has stayed tank ever since. I tried warriors, back in Wrath, but couldn’t understand how to make it work so paladins were all I ever really played as a tank. My friends needed tanks for groups so I wound up with a server full of tanking paladins. I didn’t start to play druids or warriors until Cataclysm came out. I liked both classes, but I still kept the paladin as my main tank. When Mists of Pandaria dropped, the dk, Reilynnbear, became my main tank and has been until today where my warrior, Crissabear, has caught up. My druid, Bearchanges, isn’t far behind now. I have 2 death knights, 3 paladins, 1 warrior and 1 monk. All are tanks. I can’t seem to put any of them aside except the monk. I'm not pleased with how squishy they are in Warlords. He'll get leveled but not for a very long time. 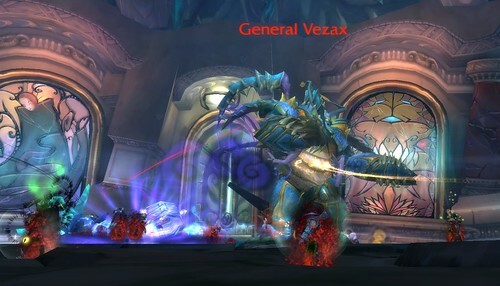 For me to be the tank means I control the flow of the instance or raid. If you want to move faster than me, in current content, let’s see how long you stay alive. Staying behind me, or any other tank, keeps you alive longer. Most "looking for raid"s blame the tanks when things fall apart. Unless the tank is really lousy or horribly under geared, it’s not their fault things go bad. If the rest of the raid followed accepted raiding rules, they would realize they are the problem. Any decent tank who knows their class can stay alive for most encounters. Put a good healer behind even an average tank and we can do wonders. But if you pull the boss instead of the tank, or if you pull threat off the tank or if you don't move out of stuff, among other things, you shouldn't be blaming the tank for the boss turning and smacking you upside the head. I won’t tank outside my guild for raids or instances. In my experience, most groups only want to run as fast as they possibly can and I love a slow steady pace so I can control the surroundings and not have them controlling me. The only drawback of doing this is that getting good gear is slow. I make what I can and get what I can when I do raid. Other options for getting gear, if you would prefer to tank for people you know rather than take your luck with a random group, include pvp gear (bought for honor), apexis crystal dailies, and the auction house. By accumulating apexis shards, you can get good gear that will help you stay alive in the first raid, Highmaul, where you can get better gear. The apexis vendors are in Stormshield and Warspear. I will tank a looking for raid if my guild makes up a large portion of it, and we do raid that periodically. 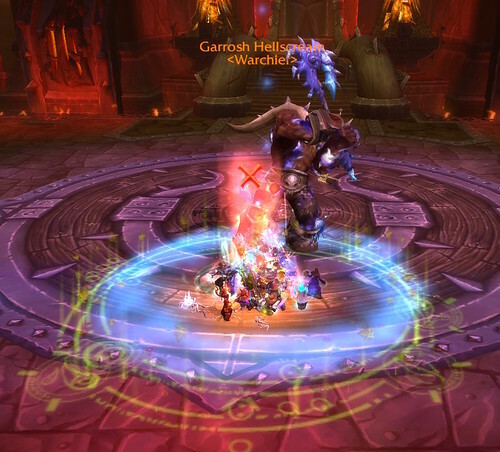 The LFR gives you the gear between 5-mans and normal/heroic/mythic raiding. 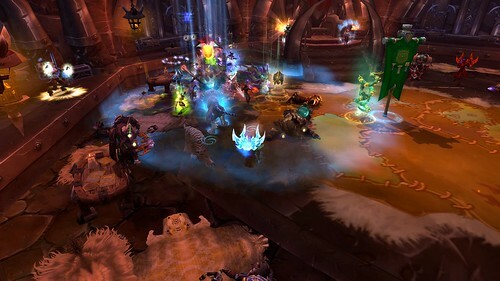 Plus, you can use the time to get somewhat familiar with the fights to make tanking them with your guild a bit easier. I like tank new raids with my best friends in WOW, my Guild. If you are comfortable tanking for random groups, I say go for it. It can be very rewarding. In the coming weeks, I'm going to go over the basics of tanking, as I've come to learn them. I will give you my impressions of the talents and spells we tanks can use; why I chose what I did and what I've found works for me and what doesn't. Tanking will always be my love in this game and I won't stop tanking 'til they stop making WOW. I just do things slower than the high end raid tanks do and have no desire to speed the process up. That works with the casual nature of my guild. I hope you'll find it interesting. My hope is that you will give tanking a try. I hope my column will open your eyes as to why some of us love tanking and why WOW needs more of us who do love it. One of the best parts of tanking is that, when you do decide to run a Looking for Group, you get an almost instant queue.